For most Americans Colorado is defined by its landscapes, especially the mountains and western plateaus. Surely the miners, ranchers, Native Americans, and railroad workers, and more recently the oil executives, high-tech gurus, and military/industrial employees, are part of the story. But the land remains the uncontested symbol for the state. In spite of the fact that it is not true, in many peoples’ minds the high mountains are synonymous with the land that is Colorado. In fact, the majority of the state’s land area does not consist of high mountains but rather plains and plateaus, grasslands and hay fields. Mountains have a special magnetism that demands the attention and creates the imagery of place for Colorado. It’s true now, and it was true in the past. During the nineteenth century the West and Colorado, with its reputation for endless mountain landscapes, were beginning to be topics of more than idle curiosity. For a number of reasons as various as there were people, Colorado and the West were to become the focus of dreams, avarice, hopes, and despair. Any landscape is so dense with evidence and so complex and cryptic that we can never be assured that we have read it all or read it aright. The landscape lies all around us, ever accessible and inexhaustible. Anyone can look, but we all need to see that it is at once a panorama, a composition, a palimpsest, a microcosm; that in every prospect there can be more and more that meets the eye (Meinig 1979, 6). In the case of Colorado in general and the survey sites in particular, the pace of change in the landscapes covers a broad spectrum. Some places have had nearly a total transformation from the time of the survey to the present (see section 1, on Colorado Springs). Some have seen so little change over time that the alterations that have occurred are nearly unseeable. And in all cases, the geologic base has changed nearly imperceptively—the legacy of the geologic time scale. Although this project looks at Hayden and his survey of the 1870s as the beginning point, Colorado was, of course, known and occupied long before the nineteenth century, with habitation going back more than 10,000 years. As Patricia Limerick points out, “the discoverers now appear as late arrivals in an already fully occupied and much affected landscape” (Limerick 2000, 26). She goes on to state, however, that “the place involved does not have to be new to everyone [to be discovered]; it [only] has to be new to the discoverers” (26). The Hayden Survey “explored and discovered” large parts of Colorado in the context of western migration and Manifest Destiny, and in the name of science and industry. The intense interest in the region outside of the scattered nomadic tribes and the close study of the area by explorers and scientists did not begin until much of the West became an official part of the United States with the Louisiana Purchase in 1803. Meriwether Lewis and William Clark took the first exploratory steps into the study of the West with their Corps of Discovery from 1804 to 1806. Colorado was not a part of the Louisiana Purchase, and Lewis and Clark never came near what was to become the state of Colorado. What they did, however, was set the tone and tenor for further exploration and intense interest in the entire region. Lieutenant Zebulon Pike led the first officially sanctioned US exploration of the area that was to become Colorado. He came here in 1806 to find the headwaters of the Red River, the hypothetical boundary between the United States and Spanish Mexico. He never found those headwaters, nor did he ever climb the mountain named after him. His expedition ended in a jail in Chihuahua, Mexico, where he and his men were taken after they had been duped by their own commanding general—James Wilkinson—into venturing into Spanish territory. Although Pike came back to the United States without much to show for his efforts, the entire enterprise indicated that the US government was a serious player in the future of Colorado and the West. John C. Frémont led a series of five expeditions to/through Colorado between 1842 and 1853. His journals with detailed descriptions of the land, the flora, and the fauna are still used today by ecologists and land managers as a good description of the mostly unaltered landscape before widespread Anglo settlement began in the region. He recorded all of this information as he was looking for an easy route for a transcontinental railroad—he lost ten of his men in his vain attempt to cross the high mountains of Colorado in winter looking for such a route during his 1848–49 expedition. Others, including John W. Gunnison and Edward Berthoud. also tried to establish an east-west railroad route through the high mountains. None was successful, and the Union Pacific railroad was eventually built north of Colorado through what would become the state of Wyoming. Notwithstanding these efforts, the study of Colorado and the West began in earnest only after the conclusion of the Civil War. The government-funded, systematic surveying and mapping of Western geology and geography began in earnest in 1867. The general shape that this exploration took was for recognized scientists–—usually geologists—or military engineers to organize a group of experts to live and travel through the assigned area while mapping and cataloging the land and its resources. Four surveys, under four very different leaders, were authorized and funded by Congress between 1867 and 1879. Each of these surveys was nominally designed to study different parts of the West and for different ends. 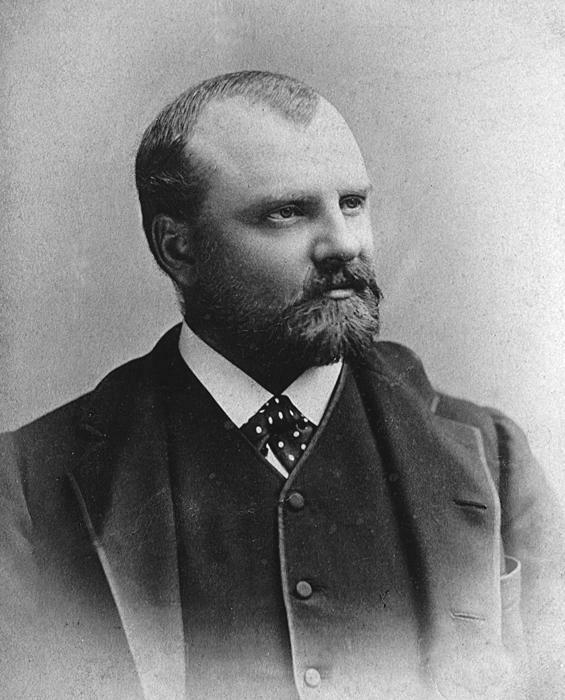 The four surveys were commonly known by the names of the leaders of the survey: the Powell Survey, under John Wesley Powell (1870–78); the King Survey, led by Clarence King (1867–78); the Wheeler Survey, under Lieutenant George M. Wheeler (1871–79); and the Hayden Survey, led by Ferdinand Vandeveer Hayden (1867–79). The four surveys were consolidated into the United States Geological Survey (USGS) in 1879 after considerable wrangling and political intrigue. Clarence King was named the USGS first director, but he only lasted one year. Powell took the reins in 1880 and was director for the next fourteen years until his resignation in 1894. 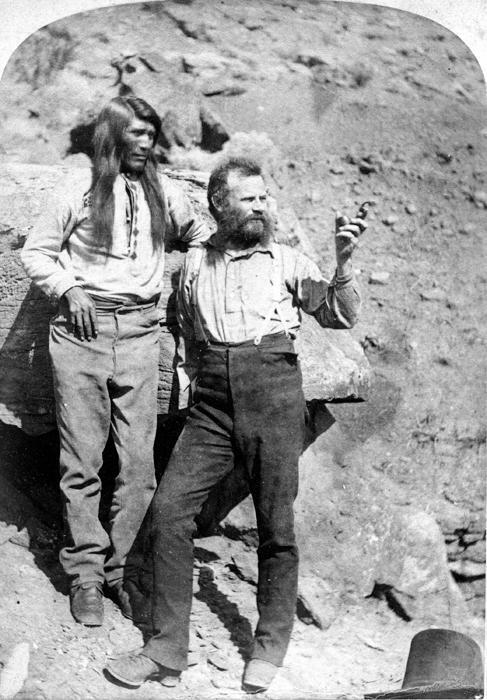 Major John Wesley Powell, the one-armed Civil War veteran, became an instant national icon in 1869 when he and six men in his expedition successfully navigated the Colorado River through the canyons of the Southwest. Three other men, who left the trip just days before its conclusion, were probably killed on the high plateaus above the river by a small band of Shivwits Indians. It was the first known time that anyone had actually traveled the entire Green and Colorado River route in this terra incognita of the West. This trip spawned in Powell an insatiable thirst for more knowledge about the Colorado Plateau region and initiated his lifelong interest in the West. In 1870 he began a series of yearly surveys, mostly in Utah, of the land’s geology and geography. He also began his life’s love for the study of ethnography of the region’s native groups. Powell’s intense interest in scientifically describing the native populations of the region eventually led him to become the director of the US Bureau of Ethnology in 1879. He retained this position even as he took over the directorship of the USGS from King. Powell also became a champion of reform for western land and water distribution and management. His Report on the Lands of the Arid Region of the United States was the most insightful, scientific, and honest evaluation of western climate, water resources, and land potential written in the nineteenth century (Powell 1879). Even with his prestige and influence, his survey remained the smallest and least well funded of the four. Of all of the four leaders of the great surveys, Clarence King was the darling of the eastern establishment Brahmans and the mainstream scientific community. He was one of the early graduates of Yale’s Sheffield Science School—the first of its kind in graduate education in the sciences. He and a good friend, James Terry Gardner, left the Northeast in the spring of 1863 for California to seek adventure and a more healthful climate for the sickly Gardner. By happenstance they soon found themselves working for Josiah Whitney in the Geological Survey of California. Whitney had a well-earned reputation as one of the country’s most respected scientists/geologists. Working for the California survey was a stroke of great timing and good fortune for the two young men. The experience gained by both King and Gardner and the quality tutelage by Whitney prepared the two easterners for the next phase of their careers. While working in the Sierra Nevada Mountains for Whitney, King and Gardner devised the idea for the survey they wanted to do next—a survey that comprised natural history, geologic, and topographic elements of all the land along the fortieth north parallel of latitude from the eastern California border well into Colorado. After a year of lobbying and political maneuvering, King persuaded General Andrew A. Humphreys, the Commander of the US Army Corps of Engineers, to support, sponsor, and fund the survey. Humphreys’ specific instructions to King were for a survey between the 120th and 105th west meridians along the 40th parallel as far north and south as to include the area of the Central and Union Pacific Railroads. King would start in the summer of 1867 at the western end of this zone and work eastward over the next several years. Although King was under US Army auspices, his was a decidedly civilian survey. The only truly military survey of this era was that commanded by Lt. George M. Wheeler. His sponsor was also Gen. Humphreys, and he was to do mostly a topographical survey of the West primarily for military use. Wheeler was a West Point graduate (1866) at a time of serious military contraction. The country had just emerged from the four bloodiest years in its history and did not relish supporting a large military establishment. Prospects for a new military officer, even a West Point graduate, were pretty dismal, but the West was at a place where the “Indian Wars” were just beginning in earnest and its open frontier had seemingly unlimited potential for settlement. If one wanted a career as an officer in the US Army, the West was the only place with any kind of future. Wheeler began his career as assistant engineer of the Point Lobos area in California. He, like King, learned his surveying trade as an apprentice. Eventually, he fought for and won the command of a large survey that would map much of the West and Southwest for the army. This was meant to be strictly a military survey for military purposes and did not include much in the way of geological or natural history work. Wheeler never managed to wrest the money and power from Congress to make his the survey of the West as he had hoped. He was a rival to all three of the other surveyors of the time, but he was especially competitive with Hayden in the field and in the halls of Congress. The Hayden Survey was the largest, most prolific, and well-funded of the four major surveys. Yet it had very humble beginnings, starting with the unpromising early life of its head. Ferdinand Vandeveer Hayden was born into an unstable family and was most likely illegitimate. His father was an alcoholic, and his early years were lived in relative poverty. He got his first lucky break when his mother sent him to live with relatives in Ohio. Here he had a supportive aunt and uncle who provided guidance and encouraged his education. Here he also was introduced to the world of science when he enrolled in nearby Oberlin College in 1845. During this first excursion, Hayden developed professional contacts that were to be long-lived with some of the country’s most influential scientists including Spencer F. Baird of the Smithsonian and Joseph Leidy of the Academy of Natural Sciences in Philadelphia. Meek and Hayden sent crate after crate of fossils to these men who knew the value of quid pro quo. Baird and Leidy became lifelong promoters and supporters of Hayden. Hayden spent the next two years in individual field study in the upper Missouri River Basin including along the upper Yellowstone River. In 1856–57 he joined Gouverneur K. Warren’s expedition to Nebraska. This work provided many valuable lessons for Hayden—not the least of which was that he bristled under the command of another leader. Hayden made an unconscious vow never to be an assistant again (Foster 1994). He wanted scientific autonomy and administrative control of his work. He and Meek did more independent work in Kansas the next year, and Hayden worked for a summer with Captain William F. Raynolds in the upper Yellowstone in 1859. The next few years were spent in Washington, DC, where he wrote up and published much of this early work. He was starting to make a scientific name for himself. In October 1862 Hayden enlisted in the US Army and went to work as a military surgeon. He performed well but always rankled under the supervision of others—a trait that he exhibited during his entire life. He left the US Army after Appomattox and was soon (1865) appointed an auxiliary professor of geology at the University of Pennsylvania. He had already established himself as a geologist of some repute, and this professorship was proof of that. The job did not keep him in Philadelphia for long. He arranged his academic schedule to enable him to head west the very next field season. The year 1867 would see the birth of the four major surveys. Hayden lobbied hard for and received the head geologist position for a survey of the brand new state of Nebraska. The survey was allocated $5,000 for the entire summer’s work, and his letter of appointment said he would locate and evaluate “all beds, veins, and other deposits of ores, coals, clays, marls, and peats” and “its [Nebraska’s] soil, subsoils and [provide a] description of their adaptability to particular crops, and the best methods of preserving and increasing their fertility” (Hayden 1867, 87). This was a very tall order, especially because he could not get started until June 18—a waste of at least a month and a half of field time. These funding delays in starting fieldwork would be a constant irritant to all of the surveys every year. Congress often did not get appropriations complete until May, leaving each survey wondering when or if members could start their work for that season. Hayden spent most of the 1867 and 1868 field seasons in Nebraska with some time in Wyoming and brief forays into Colorado. He did a whirlwind geologic reconnaissance of Colorado in 1869. His written description of this trip in the Annual Report for 1867–69 reads like a travelogue from an arm-waving geologist talking from a fast-moving train through the landscape (Hayden 1873). 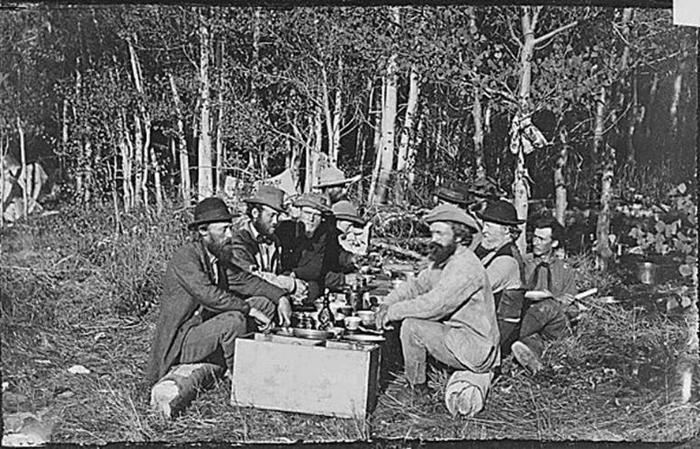 This brief trek through Colorado, however, set the stage for the much more rigorous and organized survey of the territory (Colorado would become a state on August 1, 1876). Much of the intervening time between his first tentative work in Colorado and the start of his major work there in 1873 was spent in Wyoming, especially surveying the greater Yellowstone ecosystem including the Grand Tetons and the future Yellowstone National Park. Hayden was not the one to “discover” Yellowstone and its environs, but his survey’s work there made a huge impression back east. The results from the field season in 1871 went far in promoting Yellowstone as the site for the first national park in United States history.1 The speed at which the park was created is nearly as legendary as the wonders of the park itself. By March 1, 1872, Congress had passed the Yellowstone Park Act, and Hayden was readying for his second field season there. After the stunning successes of his Wyoming expeditions, after the majestic paintings of the Grand Canyon of the Yellowstone River by Thomas Moran as part of Hayden’s Yellowstone team, after the designation of Yellowstone as a national park, Hayden abruptly changed locales. He decided that Colorado was really the next best place to concentrate his efforts. He wrote that he felt a thorough and comprehensive survey of Colorado would “yield more useful results, both of a practical and scientific character. . . . The prospect of its [Colorado’s] rapid development within the next five years, by some of the most important railroads of the West, renders it very desirable that its resources be made known to the world at as early a date as possible” (Hayden 1874, 11). This was to be a long-term, meticulous survey—the only one of a single state or territory in such depth. The scientific research done here would make Colorado the most intensively studied place in the entire West with the possible exception of California. The output of publications would be immense by any measure, and the Atlas of Colorado that the survey would produce would be the envy of every other state or territory and many foreign governments (Hayden Survey 1877). The area of Colorado of major interest to Hayden was the mountains and western plateaus of the territory. The survey looked at the prairie-mountain interface, but did not venture very far eastward into the plains. Hayden felt that the plains’ geology was not of much interest in either a resource or scientific sense: they were relatively simple geologically and had few potential resources with the possible exception of farming and ranching. Hayden’s mode of operation was to create nearly independent survey teams or divisions that would work in separate locations throughout the field season. 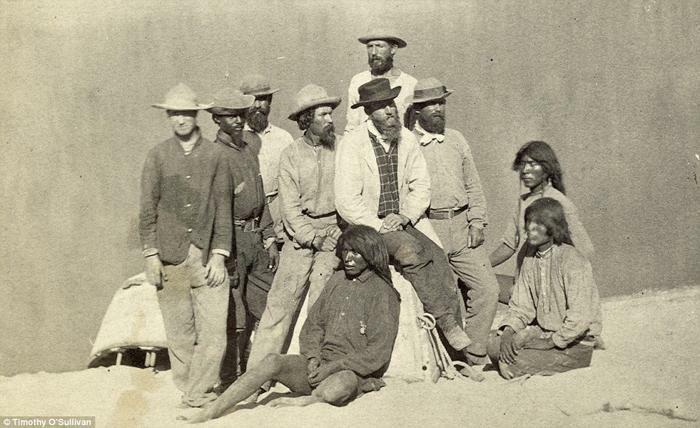 Each survey division consisted of a topographer or cartographic and surveying expert, one or two geologists, one or more natural scientists (e.g., paleontologist, botanist, zoologist), and enough support men to run the camp and care for the mules. Three or four of these divisions were used each year. Three would usually be assigned a specific area for the given season. Often these areas would cover 5,000 square miles or more. The fourth team was headed by Hayden himself and went where he felt the most interesting action would take place for the year. In addition to the basic surveying teams, there was a logistics team headed by James Stevenson that would keep the other teams supplied. There were also special groups, the most important of which for the public support of the survey was usually headed by William Henry Jackson, the famed landscape photographer. Jackson and others basically covered the entire area and took advantage of this freedom to produce some of the most notable landscape photography ever done of the West. (photo by William Henry Jackson, courtesy of National Archives and Records Administration) With Hayden (at far left), James Stevenson, W. S. Holman, S. C. Jones, James T. Gardner, Prof. W. D. Whitney, and William H. Holmes. This party did the first documented ascent of Holy Cross, 1873. Although there were some idiosyncratic methods of operation for each team, the topographers and geologists had a basic working scheme that all teams more or less adhered to. The topographer would make accurate locational measurements from one high point to another to create a network of precise positions. These would be tied together in a triangular network, hence the term “triangulations” as seen in the documentation of the annual reports and on a sheet in the Atlas. One of the geologists, usually the junior scientist, would work in the drainages of the study area taking rock samples and working out the geologic structure in detail. The other geologist, usually the more senior one, would accompany the topographer to higher viewing points. This second geologist would determine the overall perspective of the geographic lay of the land and its geology to create the bigger picture. Many of these “big picture” survey members were fine artists in their own right. They produced dozens of etchings and line-drawing sketches of the landscapes of the area in both minute detail and in large-scale depictions. These beautiful and informative drawings were the basis for a great deal of the information presented by the survey in its many and varied publications. The most talented of these geologist/artists was certainly William Henry Holmes. His landscape depictions are still viewed as some of the most beautiful, highest-quality landscape renderings ever done in the West. A selection of these sketches and drawings is the basis for this website’s organization. Each section will focus on one or more of the drawings by various artists (some acknowledged, some unidentifiable) in the survey. For this publication, these places and settings were revisited and photographed as precisely as possible and discussed in light of what the land is like today—a composite “then and now” depiction and description. This publication is broken into several parts, one for each region covered in the state. Within each part are sections corresponding to the individual places as depicted by the landscape drawings and the current-day photographs. These are centered on at least one of the remarkable landscape sketches that are contained in the Reports or the Colorado Atlas and on other sketches that contribute to the understanding of the survey work. For example, section 5 has a vignette on the Morrison area highlighted by the landscape sketch “Section at Bear Cr.” published in the Report for 1873 published in 1874 (Hayden 1874). The material used for each vignette may be taken from one or more years, especially for places along the Front Range. The survey spent multiple years in that region and may have published the same sketch in more than one Report. The official title of Hayden’s Survey of the West is The United States Geological and Geographical Survey of the Territories. The geographical work consisted, in large part, of the actual triangulation surveys—that rather arcane and exacting discipline of measuring the precise location of places in preparation to producing accurate maps of the area. In addition to this surveying or triangulation of points, Hayden employed a large number of associates who would not fit the geologist or geographer title. These included botanists, zoologists, painters, photographers, and so on. But the most voluminous part of the work was in geology. Geology as the study of the origin, composition, and structure of the earth was a discipline less than a century old at the time of the survey. James Hutton, John Playfair, and others began piecing together the earth’s makeup through field observations and analytical thinking in the late eighteenth century and early nineteenth. This new science quickly became important for both intellectual and practical reasons. Intellectually, for example, the study became the foundation necessary for Darwin to develop his theory of evolution. Practically, it was seen as a way to systematically find and extract mineral wealth. The push westward in the United States during this period was propelled, in no small part, by this desire to find useful or valuable minerals of all types. Members of Congress funded the four surveys and much of the other exploration of the West because they collectively thought that the discovery of mineral and resource wealth would pay back the expenses many times over. The big picture of Colorado’s geology is deceptively simple—it is the details that hold the incredible complexity. Basically, the eastern plains and the western plateaus of the state are composed of relatively flat-lying sedimentary rocks of various types and ages. Sedimentary rock is created from “sediments” deposited on top of other rocks. These sediments can be produced by a mechanical process wherein small pieces of rock have been broken off or removed from some previous rock formation and deposited in rather large masses, eventually to be hardened into new rock. Sedimentary rock can also be made through chemical processes such as when calcium carbonate precipitates out of solution in a shallow lagoon, creating limestone. These sedimentary layers in eastern and far-western Colorado lie comparatively undisturbed. They still are generally horizontal beds that, if moved at all, have moved up or down via large regional shifts that have kept them in their nearly flat posture and their relative positions in the vertical column. At various times in the distant past, many of these sedimentary beds were spread across the entire area of the state; mountains did not always exist there. During several widely spaced eras, numerous mountain systems in Colorado have been uplifted. The uplifts resulted in increased erosion of the sediments lying atop the land. Eventually the mountains themselves were worn down by the work of snow and ice, wind and rain. This cyclic building and destroying of mountains has occurred at least four times during the past 1.8 billion years. The core of these uplifted mountains has often been large masses of intrusive igneous rock, rock made from melting and subsequent cooling in the deep recesses of the earth. If these molten rocks reach the surface of the earth before they cool to solid rock, they are called extrusive igneous rocks. Most of us just call them volcanic. Rock that solidifies before reaching the earth’s surface is intrusive igneous. The granite commonly found in the core of Colorado’s mountains include many of these intrusives. These cores of the various mountain ranges are much older than the sedimentary rocks above. The older rocks are thrust up by colossal forces that move large segments of the crust. These forces are produced through the complex processes of plate tectonics and large-scale crustal movements at a regional or continental scale. When rock is uplifted in a mountain-building episode, the potential energy of erosion is increased. The faster the uplift, the more aggressively erosional forces counteract it. No mountain range lasts forever. Even as you read these words, the relentless act of erosion is bringing down the current Rockies. This happens slowly but inevitably. Much of the eroded rock will eventually be deposited again to become new rock in the ever-spiraling cycle of erosion, deposition, uplift, erosion, deposition . . . We are currently in one of those periods during which the uplift has occurred and the erosion is just catching up. In a few million years, more or less, the mountains we know of as the Rockies will be just a memory unless other vertical movements intercede. This is the simple story; now for the details. One of these details is the timing of all of this rock making and destroying. Geologists, over the last 200 years, have devised a nomenclature of eras, periods, and epochs dividing earth’s history. Most of these time periods are defined by what fossil evidence exists. Some of the time boundaries depend on more esoteric and analytical tools such as isotope decay rates. This naming system began in Europe, especially England, around 1800. The names of many of these eras, periods, and epochs are often based on the locale of certain sedimentary strata. For example, the period from about 395 million years ago to 345 million years ago is called the Devonian after some distinctive rock strata that were found in Devonshire. The Cambrian, Ordovician, and Silurian came from place-names in Wales; the Permian came from Perm, Russia; and so on. Some of the periods are named for the dominant rock types formed during that particular time. The Carboniferous was named for a period in earth’s history when many coal, oil, and gas deposits were first formed. In the United States the Carboniferous was broken into the Mississippian and the Pennsylvanian. The more major classes in the geologic time scale are called eras. These names are based on the age of life forms that existed during that time: Paleozoic meaning ancient life, Mesozoic meaning middle life, and Cenozoic meaning modern life. Hayden and other geologists of his time used the term Archaean that meant to them ancient or old rocks, usually igneous or metamorphic. Today we would normally use the term Precambrian to indicate these old, core rocks of the earth. Some of the other details, and therefore complexity, of geology have to do with how the forces within the earth bend, fracture, and move the rocks from their original position. Evidence of these forces is obvious to anyone visiting Roxborough State Park southwest of Denver or the Garden of the Gods in Colorado Springs. Because the warping and breaking of rocks is not consistent over large distances, we get a huge variety of structures in which rocks may be out of sequence chronologically or in places where they seem to not belong. One of the more difficult tasks of geologists is to work out these confusing structural occurrences. This is not just an arcane exercise in puzzle solving. How the rocks were bent and moved gives clues to things such as where oil may be trapped or what minerals will be found in this place and not that one. The pioneering studies of geologic structure of Hayden’s time have led to highly developed disciplines today, such as geophysics, that work out the intricate movements of the earth’s surface we call earthquakes and other tectonic actions. Hopefully, this quick tutorial in geology will help you understand the landscape scenes explored in this project. After all, the geologic story of a place is really the foundation upon which the place is built. Understanding the landscapes and what they mean depends on knowing what the influences have been from times past that continue today, and move into the future. 1 The Yosemite Valley in California had become a state reserve in 1864. Yellowstone (1872) was the first federally administered park and the beginning of the national park system (1916). [LF1] [LF1]Introduction note. “Note” heading not needed if note links to superscript number in text.